Experts in the math of probability and statistics are well aware of these problems and have for decades expressed concern about them in major journals. Over the years, hundreds of published papers have warned that science’s love affair with statistics has spawned countless illegitimate findings. In fact, if you believe what you read in the scientific literature, you shouldn’t believe what you read in the scientific literature. 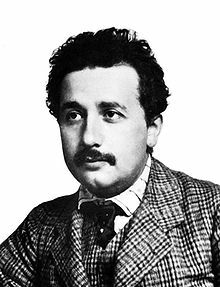 As we tell Monty that we’ll take what’s behind Door #2, we might recall that it was on this date in 1905 that Albert Einstein kicked off “Annus Mirabilis” with the publication of the first of his four epoch-making papers in Annalen der Physik— this one, proposing energy “quanta”– thus kicking off the year in which he reinvented physics and our understanding of reality. Happy Náw-Rúz! This date in 1844 was the first day of the first year of the Bahai calendar.